In my search for "authentic" African music (which is a dangerous rabbit hole to start down, because really, what is authentic?) I came across marimba bands. Ironically, the place I found the "authentic" Capetonian music was at restaurant called Mama Africa. Mama Africa is a tourist destination restaurant that serves up pan-African foods and animals. You can get warthog, springbok and zebra there (and yes I did try it, and yes, I did like some of it). The walls are covered with African art and thatch, just to make it as "authentic" as possible. I was warned about this place. I had heard that the service sucked and the food was overpriced. I knew there was music, but I just assumed that it would be cheesy. Every night there is a live band playing for the tourists and most of these bands have bi-weekly gigs here. Talking to Mzwamadoda Matsila, the trombone/alto marimba player, I found out that marimba bands are indeed Capetonian and that the guys in the band do make a living playing music. Our final bill charged each costumer a 10 South African Rand ($1.50) music fee. There were some people at my table that were upset about this. Yikes. I tried to explain to these people that these gigs probably earn the musicians the bulk of their living wages. The musicians of Abavuki are from the black township of Langa. I noticed that most of these guys played at least two instruments. There were three sizes of marimbas: bass, tenor and alto. The soprano marimba does exist, but they just don't use it. A couple of these guys also doubled on saxophone and trombone. They also switch off playing various percussion instruments. They also ALL sing - with some pretty cool harmonies. These guys probably play for at least four hours every night. They played hard for us, and I appreciated it. I had a great time. It was much more entertaining than the cover band with a pre-recorded drum track I had heard earlier in the week down the street. These are not my videos, but are pretty good representations of what I saw. The music is fast, virtuostic, hard-hitting and danceable. I am super glad to have stumbled upon it. 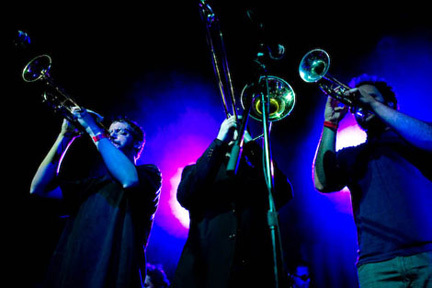 This morning I posted this article on examiner.com describing a four month lab residency for the Bay Area afrobeat band Albino! to play at the Elbo Room in the Mission. Each month they will team up with a different artist to experiment with the kind of music that might come up out of that partnership. 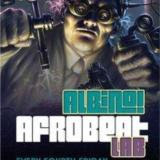 This is month (Friday) they are playing with Liberian-Bay Area DJ Jeremiah. I'm not gonna lie, when I first heard about this band three years ago, it made my stomach churn a little bit. The idea of an Afrobeat band called Albino! which is comprised of *mostly* white dudes in costume (often African-themed costume and "tribal" face paint) was not really appealing to me at all; especially coming right out of an Ethnomusicology academic program where I thought about race and music consistently for three years. I was even sure that the band was pretty damn good, but it was still disturbing to me. But then, the more I thought about it, and the more I got to know the Bay Area and its sense of humor and awareness, it seemed less and less of an issue. I mean, in Austin I was in an afropop band where we often didn't even know what we were singing about, let alone if we were singing words that made ANY sense in the original language (we learned covers phonetically). We just liked the music and wanted to recreate it the best we knew how. At least Albino! 's lyrics are in English and write about political and racial issues in their own community (class struggle within Oakland for instance). The name Albino! and the costumes seem to be merely poking fun at the fact that the musicians are a bunch of white guys, and yeah, "we play African music," so what? 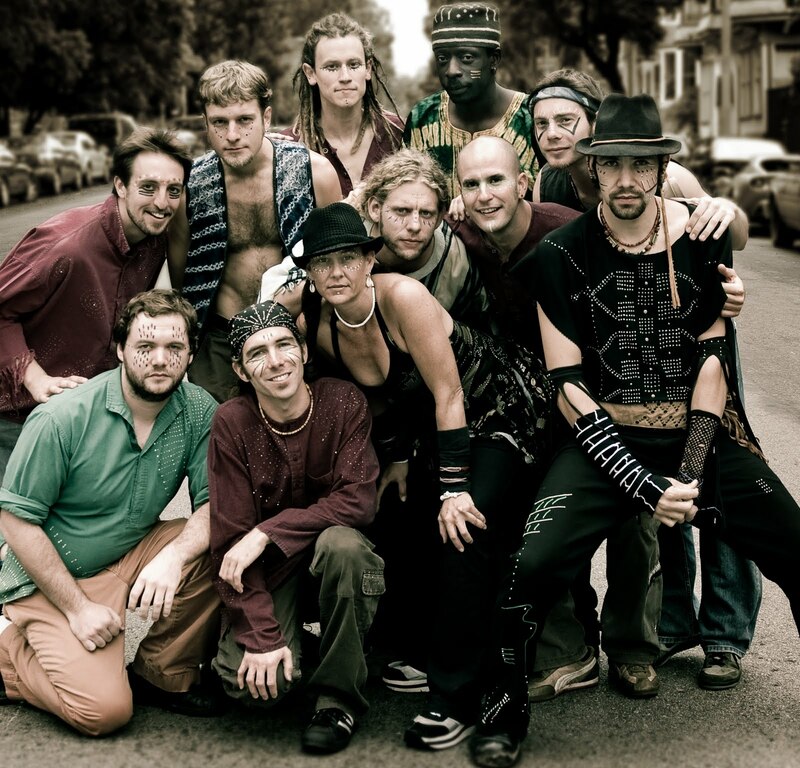 There are dozens of afrobeat bands in the US comprised of mostly/all white people (Antibalas, Budos, Nomo, Afrodesia etc), and they're damn damn good bands that I love very much and do all I can to support them. Can I single one out because of a band name and funny outfits? Can I seriously consider this tasteless enough to count them out? The music is good. The music does not poke fun. I now have one of their live CDs and it's great music. What do you think; am I trying too hard justify this idea? Can we just laugh at it and dance? 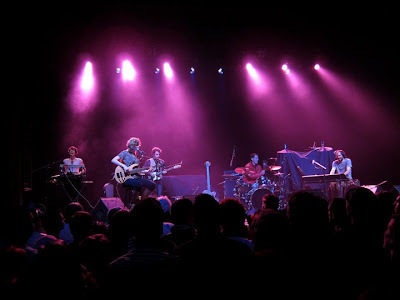 A fan named David sent over a link to a recording they made at the Pomplamoose show at the Warfield on December 31, 2010. It's pretty darn good so I wanted to share it with you. I was on a plane at the time, so I'm super happy to have a copy. I'm going to start rolling out photos and videos from my trip to Africa and Europe. I'll start with the ones that are probably the most interesting culturally and historically, but which I also know very little about. What I can tell you is that these performances are for the tourists. They were in touristy parts of Cape Town where there was a lot of shopping happening: the Waterfront and Green Market Square. These are folks that get up in the morning, put on their costumes and go dance for tips. And it's nice that they do, because in Cape Town you don't really get a feeling of much traditional culture, it's a very modern and European city. Tourists were constantly joining these ladies so that they could have pictures taken with them. It was a little annoying as I just wanted to watch them perform. I really enjoyed their interlocking rhythmic and melodic chanting. It was very cool. I passed them a couple hours later and they were sitting and singing. It was hot, and they were tired. They were cute ladies. If you know anything about these performances, please let me know.